Hello beautiful earthlings! After our trip to Singapore and Malaysia, we headed over to the Philippines! Yay! Our first stop was Manila and we stayed there for three days since mom had to get her executive check-up and run errands/preparation for my sister Nikki's 18th next year. 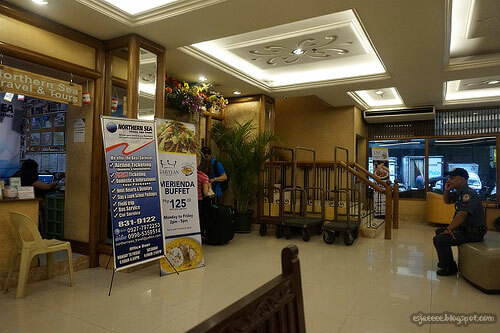 We stayed at Kabayan Hotel in Pasay City during our stay in Manila. Mom booked our stay on their website. It was the second time that we have stayed with them. 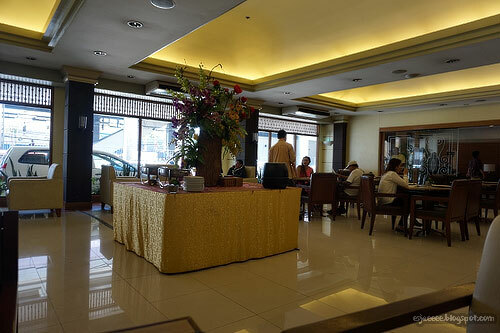 Kabayan Hotel in Pasay is near to the airport (about 20 minutes) but you can never really trust traffic in Manila and it was the monsoon season when we got there. Check in was easy enough as far as I can remember. I think a proof of identification is needed when checking in. 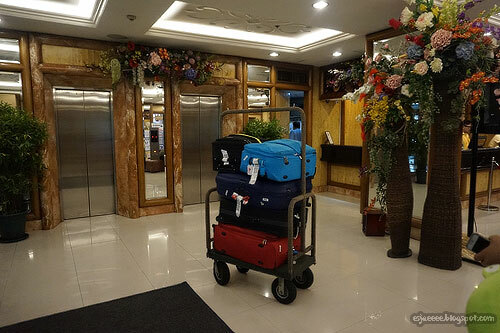 Since this is a hotel, one of the staff helped us with our heavy luggages. All the staff were so friendly and polite. I think it has to do with Filipino hospitality. 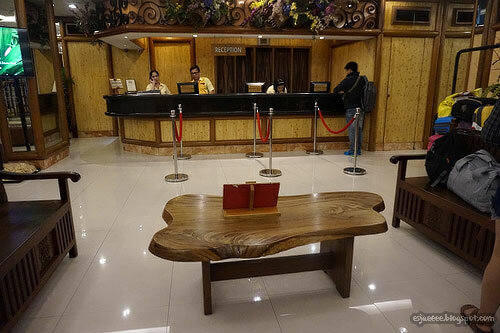 I have never been in a hotel where the staff would greet your good morning/good evening whenever you pass them in the hallways. Mom booked a room good for 4 people that has one double bed and two single beds. She paid additional fees for the staff to bring in a futon and bed sheets for the 5th person. I didn't get the chance to take a photo of the bathroom but it is the same as the Sri Packers Hostel where the shower and toilet were in separate cubicles. We were given two keycards for our room. 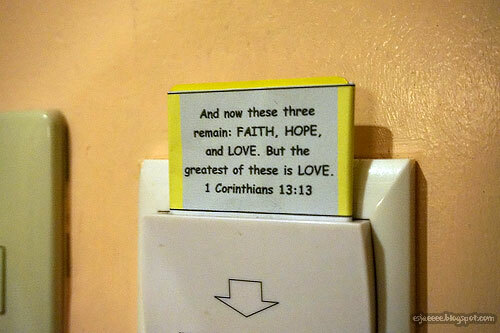 And I love how my favourite Bible verse is on the keycard that I got! Our stay included complimentary breakfast. 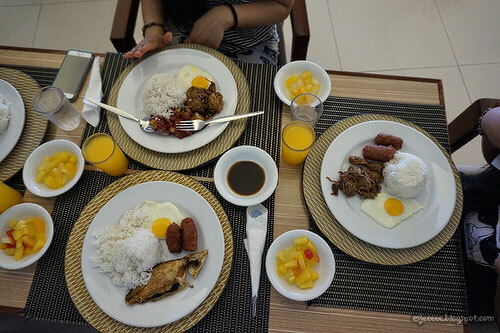 Their breakfast is a Filipino style breakfast that already serves rice! I don't think they offer Western breakfast food like toast and cereals. If they did, guests would probably have to pay for them. 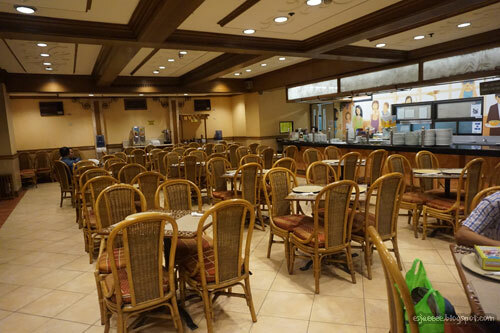 The photo above is their eating area. We woke up late so that area was quite full and we were guided to go to the next dining area which looks better in my opinion. Don't you think this dining area is better than the previous one? The menu for the complimentary breakfast depends on the day. There was specific food being served on a specific day, if that makes any sense. I had to get my favourite Daing na Bangus (marinated Milkfish in vinegar and garlic). My sisters both got chicken adobo and langonisa. With that, we were also given a bowl of mixed fruit cocktail and juice of our choice. It was probably two hours after breakfast that we ordered halo-halo! I mean how could we not get one when we were in the Philippines?! 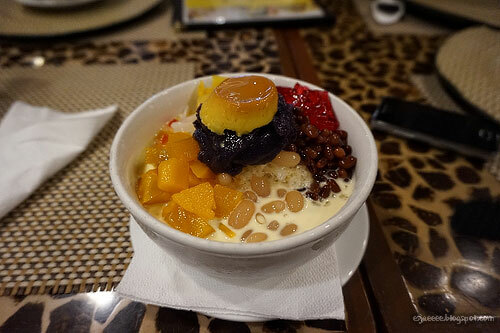 It is a must-try dessert when you are over there! There is a transport booth/section in the hotel. It is in the right corner of the photo above. Mom booked a couple of taxis with them to bring her to her appointments. It was convenient and safe. The only downside was that you'd pay almost twice to triple the taxi fare. 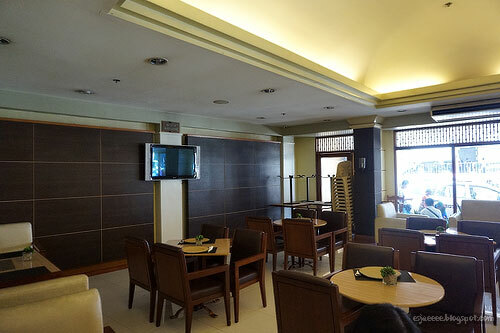 I recommend this hotel to those who are looking for an accommodation that is quite near NAIA. It is also near Mall of Asia, which is the third biggest shopping mall in the Philippines as far as I know. There are a couple of stores around the hotel. I am not too sure if it was Jollibee or McDonald's but it is either one of them that is just right beside the hotel. 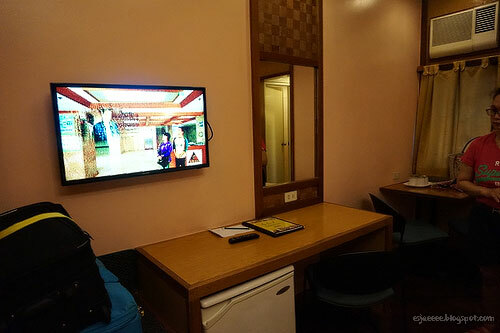 The rooms were comfortable to stay in and were very clean. We had a problem with the mini-fridge in our room that it started leaking. We informed one of the staff and they cleaned it right away. The staff were so polite when we stayed over there. That's it for now. I hope this post was helpful and informative. If you have any questions, let me know in the comments below and I will be happy to answer them. Also, don't forget to subscribe to my blog so that you wouldn't miss future updates! Peace and Love!